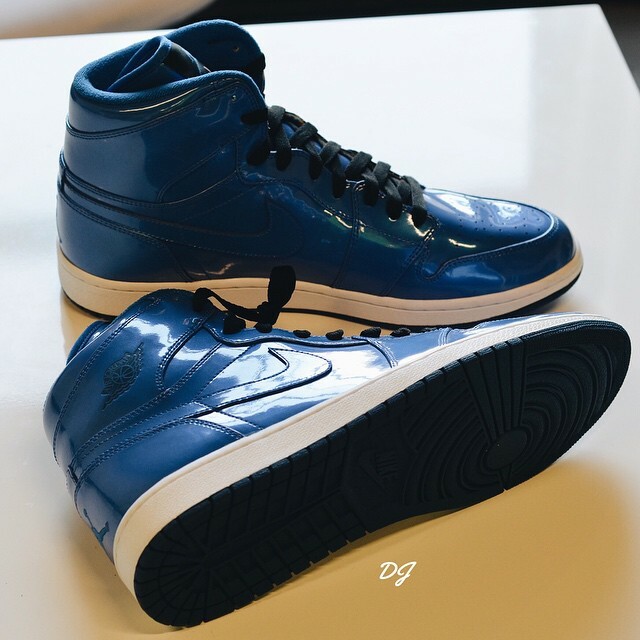 A lot more people seem to have come around to the idea of patent leather retros recently with the release of the DSM x Air Jordan 1. 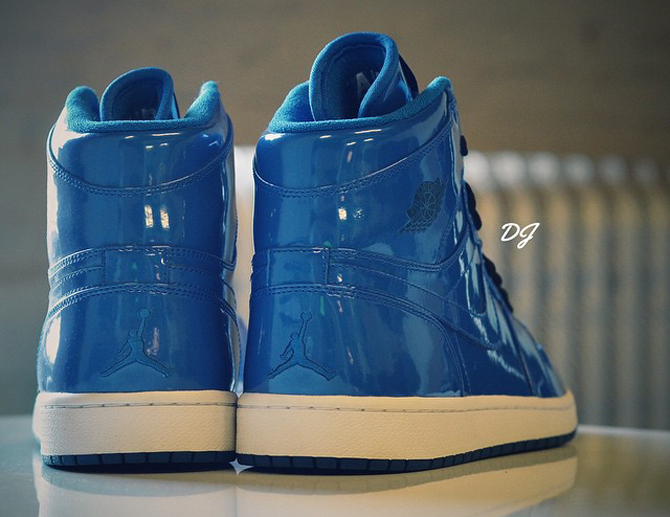 Serving as a reminder of previous patent pairs is this Air Jordan 1 sample from a few years back. The sneaker doesn't have the coveted "Nike Air" branding on the tongue, but it does have that super shiny look that this time comes in a much brighter blue. It's also got the Jumpman stamped on the back which might lose it some points amongst collectors. 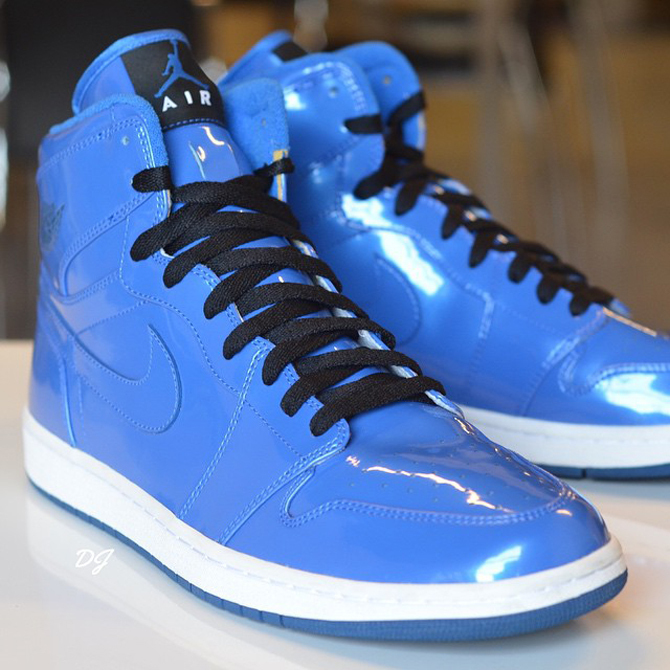 Note that this Jordan 1 sample is a few years old at least, and isn't on the calendar as an upcoming release.